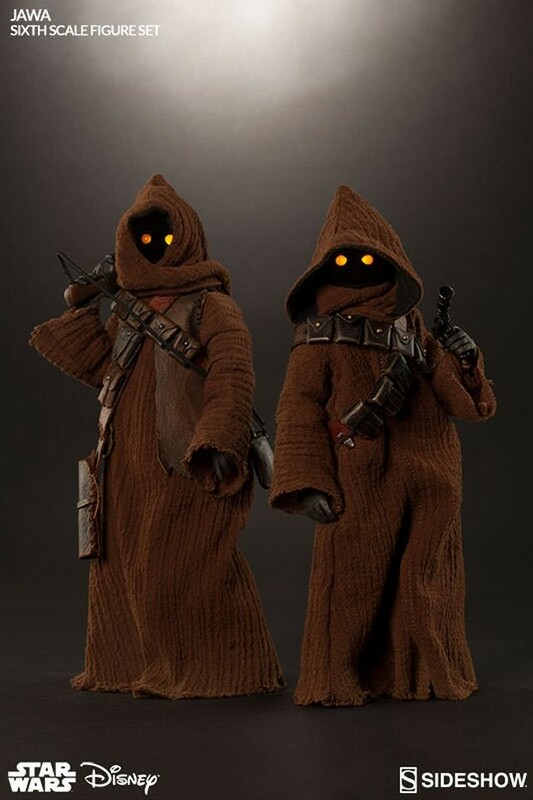 Jawas were a great part of the original Star Wars. 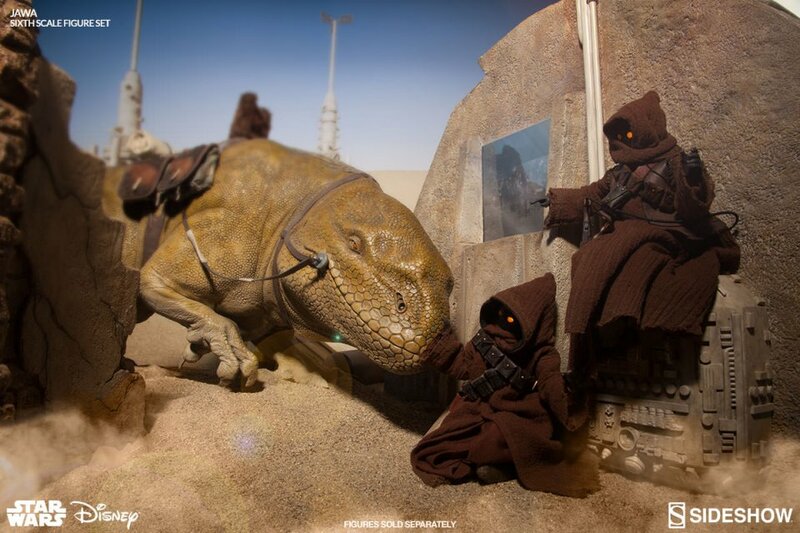 They were a perfect fit for Tatooine’s desert landscape. Mysterious and dangerous, they really owned the scenes when they were on the screen. 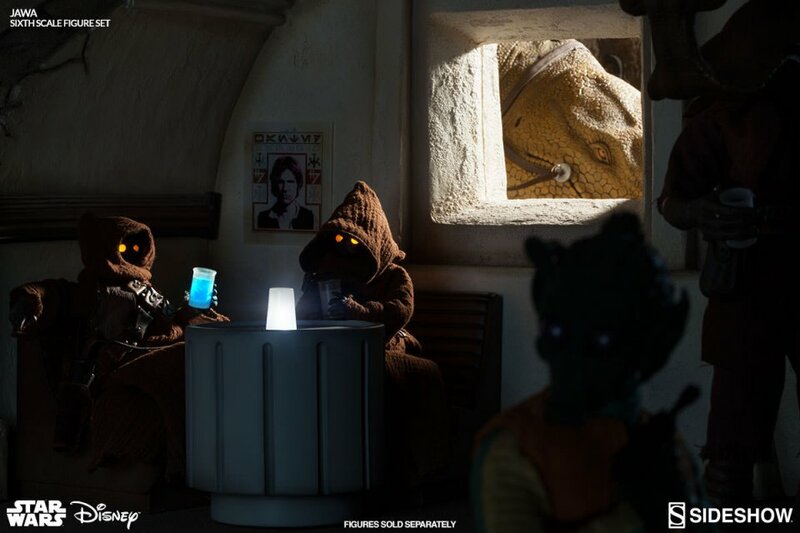 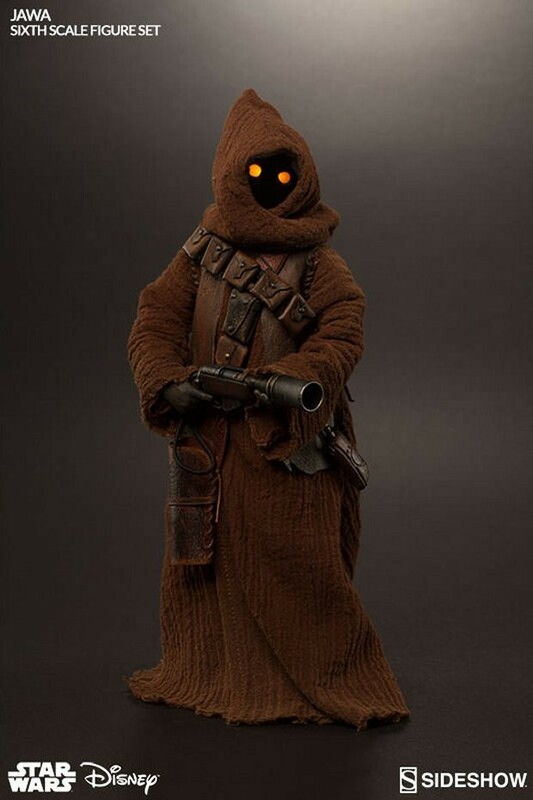 Now you can own the best figure version of the Jawas ever with this Jawa Sixth Scale Figure Set by Sideshow Collectibles. 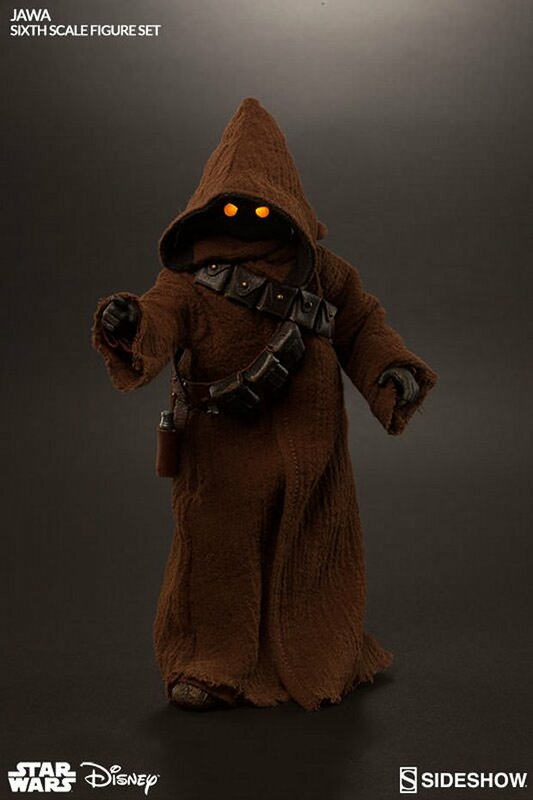 This set includes two fully articulated Jawas – the taller one standing 8.78″ high. 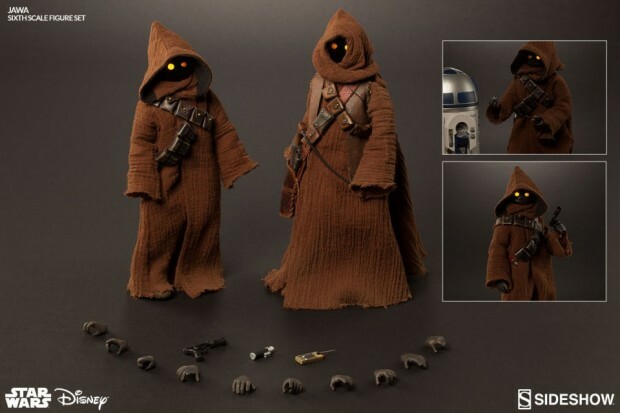 Each has amazing detail and they are super poseable. 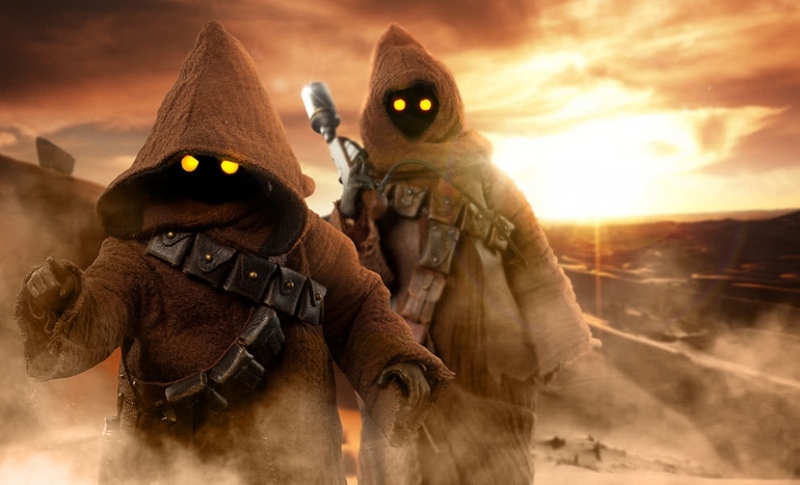 They are decked out in their traditional brown robes and bandoliers, with bright LED-illuminated yellow eyes. 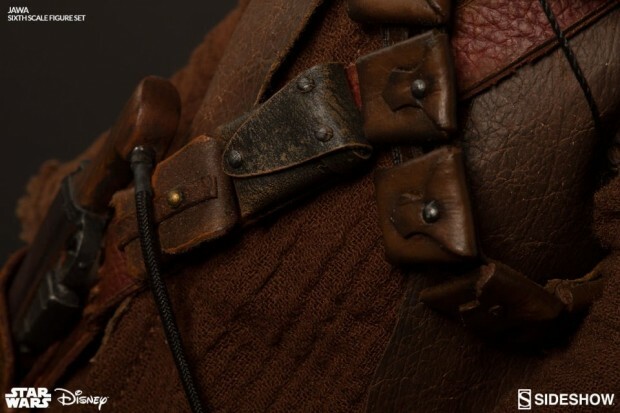 They also come with an impressive set of weapons and accessories, including a space thermos, welder, droid caller, magnetic restraining bolt, a blaster pistol that fits in the belt holster, and a droid-stunning Ion Blaster. These are definitely the Jawas that you are looking for.